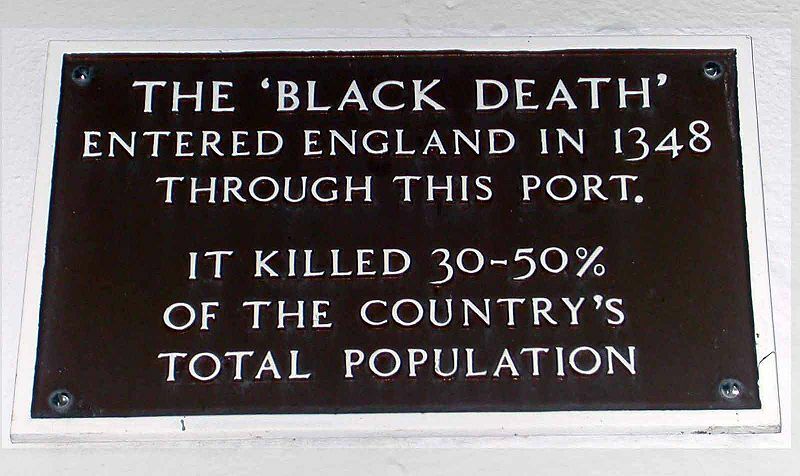 In the 1300s, the Black Death (bubonic plague), possibly history’s greatest demographic catastrophe, killed between 30 to 60 percent of the earth’s white population within a few short years. Today our people are facing an even greater calamity: extinction. While some readers are doubtless familiar with the well-known demographic transition model (DTM) formulated shortly after WWII, fewer have heard of second demographic transition (SDT) theory, originally advanced in 1986. Its central focus is permanent or structural sub-replacement fertility and the related phenomena—which it views as contributing to radical population decline—of family breakdown and associated ideologies and attitudes downplaying the importance of children, family, and marriage. Because adherents of SDT view the current period—correctly, in my opinion—as a new demographic phenomenon, they refer to the older theory as the “first demographic transition” rather than the “demographic transition model.” Although there were temporary cases of below replacement fertility during the first transition, these invariably corresponded to exceptional circumstances, such as deep economic crises or war. If now asked to define the essential difference between the first and second demographic transitions, I would simply say that while the first, the traditional demographic transition, was a long term consequence of the decline in mortality, the second transition should be interpreted as a consequence of fertility declining way below the levels long thought plausible. . . . [Over time,] the number of women of reproductive age will be comparatively small and the number of children born to them will, most likely, remain below replacement level. Three decades of fertility decline have already affected the age structure of most industrialized countries [N.B.—as of 2002: so, 1970–2002; in 2014 we have passed the four decade mark]. . . .
Clearly, the earlier model worked for us; the second has proved disastrous. Here, and throughout the remainder of this essay, short-form references to “Van de Kaa” followed by specific page numbers are to Dirk J. van de Kaa, “The Idea of a Second Demographic Transition in Industrialized Countries.” Paper presented at the Sixth Welfare Policy Seminar of the National Institute of Population and Social Security, Tokyo, Japan (January 29, 2002), 34 pp. A key feature of the SDT is the belief that population collapse has not been due solely to socioeconomic factors (i.e., purely materialist causes), but is equally the consequence of anti-natalist, anti-family, and feminist ideology (although proponents do not call them that, of course). Since 1960 the West has experienced later marriage, lower marriage rates, increased marital instability (more divorce, cohabitation, and single parenthood), massive decline in fertility, and miscegenation both inside and outside of marriage. Of course, SDT proponents—well-heeled academics and globalist functionaries—are delighted that anti-family ideology and replacement migration have pushed the white race to the brink of extinction. Nevertheless, the theory was developed in direct response to the sudden onset of sub-replacement fertility, which began among whites in the First World around 1965. White population collapse was not anticipated by the original demographic transition model, which predicted population stability (replacement fertility) and the persistence of Western marital and family patterns. It is important to understand that second demographic transition analysis is not marginal. In 2004, Ron Lesthaeghe—emeritus Professor of Demography at the Free University of Brussels, the other Dutch-speaking (but in his case Belgian) co-founder of the theory—was ranked tenth among the most influential demographers in the world from 1950–2000 by 637 of his professional colleagues. What he does not say is that the latter figure includes large numbers of imported non-whites, their offspring, and, by 2000, grandchildren, etc., not to mention part-white hybrids. 15.9 million was not the number of white Netherlanders. One must keep this distinction in mind whenever raw numbers are cited. Aggregate numbers must be associated with their corresponding dates to form a rough estimate of the size of white (or non-white, including racially mixed) population(s). Van de Kaa and Lesthaeghe introduced the idea of the second demographic transition in 1986 in “Twee Demografische Transities?” (“Two Demographic Transitions?”) in D. J. van de Kaa and R. Lesthaeghe, eds., Bevolking: Groei en Krimp (Population: Growth and Decline) (Deventer: Van Loghum Slaterus, 1986), pp. 9–24. 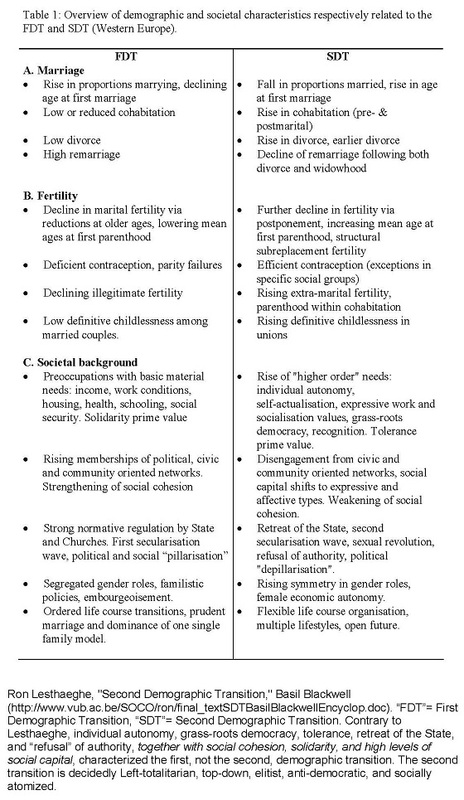 A major factor contributing to fertility decline is attitudinal or ideological. Revolutionary ideological change was a major factor in the decline of marriage and family, the rise of divorce, the spread of birth control (including oral contraception and legalized abortion), widespread cohabitation in lieu of marriage, extramarital childbirth, and extensive miscegenation. Here, and throughout the remainder of this essay, short-form references to “Lesthaeghe” followed by specific page numbers are to Ron Lesthaeghe, “Second Demographic Transition,” Basil Blackwell. This is a brief, 7-page encyclopedia-style introduction to the topic in Word format. In the words of Van de Kaa, the new dispensation has been generated in part by radical changes in value systems, worldview (Weltanschauung), and the spirit of the age (Zeitgeist) that have radically transformed basic norms governing politics, work, religion, family, and sexual behavior. In truth, the second transition had a pronounced top-down, “revolution from above” ideological-cultural element, and was not simply a passive, out-of-the-blue, inexplicable upheaval, as SDT theory slyly implies. The changes associated with reproductive collapse were accompanied by widespread “disengagement from civic, professional or community-oriented associations” (Lesthaeghe, p. 4). This is clearly what Robert Putnam, the author of Bowling Alone (2000), describes as a decline in social capital. The 1950s and early 1960s are described as “the golden age of marriage” by both Van de Kaa (p. 15) and David Coleman in his Oxford lecture. Virtually everyone entered into marriage when society was still white and demographically replacing itself. Contrariwise, a strong increase in divorce is characteristic of the second transition. Though many men and women say they want two or more children when surveyed, that reality will be precluded for many by the harsh, disruptive consequences of separation or divorce, which are often emotionally draining and expensive. A chart in Van de Kaa (Figure 5, p. 17, not reproduced here) shows the US as having the highest divorce rate of any country listed in 1999 (around 58%), though I recall reading elsewhere that Scandinavia’s divorce rates were as high as 70%. In Van de Kaa’s chart the Nordic countries ranged between 40–53% in 1999. Divorce rates in all nations leapt since 1980, the rates for which are also shown. Italy’s divorce rate was lowest at 10% in 1999. Reproduction within marriage is no longer universal. Large numbers of children are now born out of wedlock. Since the 1970s, unmarried cohabitation has replaced marriage as the most frequent type of first union among whites. Cohabitation is also increasingly viewed as a socially acceptable alternative to marriage, and preferred by the widowed and the divorced as well. According to Great Britain’s Office of National Statistics, as of 2012, cohabitation was the fastest growing “family type” in the UK. 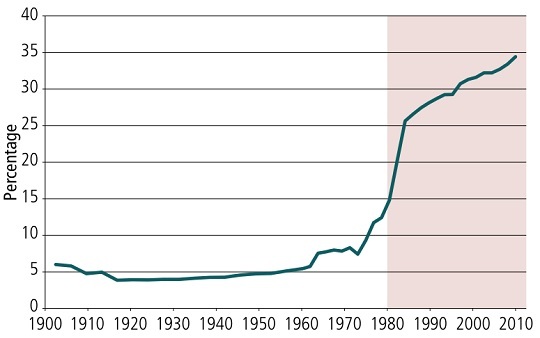 As seen in the accompanying chart, the figure for premarital cohabitation in Australia rises steadily from 16% in 1975 to 77.7% in 2008. The 1975 starting point (16%) is misleading in the context of our discussion, because in the preceding years cohabitation had already jumped sharply from low historical norms. In such a regime, people behave as if their current romantic relationship will last forever, and genuinely hope it will, yet continue searching for another love perceived to be closer to the ideal. But new relationships turn out to be limited in duration as well. For example, a divorcee, age 34 (an anonymous woman described by her Israeli psychologist, a former president of the University of Haifa), who was still young enough to have two or three children, had engaged in four “long-term” consecutive romantic relationships, two of them in the form of marriage. Like many people, she continued to search for greater novelty and romantic excitement outside each relationship while she was in it, even if this was done more or less instinctively and unconsciously. Thus, a strong increase in the dissolution of non-marital cohabiting unions is also characteristic of the second transition. The proportion of extra-marital births has risen sharply during the second transition. The proportion of out of wedlock births has surged. Again using Australia as an example, throughout most of the 20th century (the chart, note, goes back as far as 1901), only 4–6% of all babies were born outside of marriage. Abortion was illegal, and therefore unavailable as a means of birth control for pregnant women. As late as 1960 only 4.8% of babies were born out of wedlock. That proportion nearly doubled to 8.3% in 1970, and increased again to 12.4% by 1980. In 2000, 29.3% of all babies were born out of wedlock, and in 2008 34.4% (more than one-third). Of course, many children born within marriage will experience divorce and subsequent single-parent households, the remarriage or cohabitation of their biological parent(s) with other people, and the need to “blend” with any children or other on-scene relatives of their parents’ later partner(s). It is presumably all very confusing and emotionally unsettling. Table 3 in Van de Kaa, p. 14 (not shown here), calculates the percentage of extra-marital births to all births in 29 advanced countries for the years 1965, 1980, and 1999 respectively. The lowest was 1.1% in Greece (1970), 4% by 1999. The highest was 13.8% in Sweden (1965), 55.3% (i.e., well over half of all births) by 1999. (Remember, 1999 is already 15 years ago, and everything is moving at tremendous speed.) Estonia was similar to Sweden, with 14.8% of all births extramarital in 1965, and 54% by 1999. Other countries fell between the two extremes, though Greece was an outlier on the low end. In the second transition, sub-replacement fertility is viewed as a permanent (structural, long-term) feature of white populations. It is linked to a multitude of living arrangements other than marriage, and a disconnect that occurs between marriage and procreation. 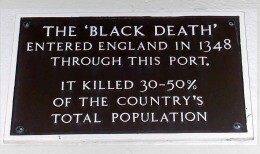 Collapsing populations are offset by massive Third World immigration—the course chosen by anti-white elites. Note that immigration restrictions were struck down, and the importation of non-whites begun, before white populations started to collapse. Yet Lesthaeghe invokes sub-replacement fertility as a justification for “replacement migration” (his term; Van de Kaa refers to mass immigration as “compensatory”). Replacement migration is the program to replace existing white populations worldwide with Third World non-white populations through mass immigration. It has been going on for decades now, and the endgame is finally in sight for its proponents. Replacement migration, of course, is genocide, a crime against humanity. A stable population corresponding to replacement fertility (just over two children on average) would mean “no ‘demographic’ need for sustained immigration.” But massive white population decline requires huge migration streams to “stabilize population sizes,” thereby leading to “the further growth of ‘multicultural societies’” and “integration of immigrants and other cultures” (Lesthaeghe, p. 1). Author Edmund Connelly has drawn my attention to the fact that Japan suffers many of the same fertility and population problems as the West, but has spared itself the insanity of mass immigration. There is no “demographic need” for replacement migration. It is a ruling class want, that is all. Real-world experience provides a far less abstract and sanguine view. It is hard even now to cajole or compel the system to respond to the needs of the elderly. Much sooner than you’d think, institutions become noticeably resistant to treating the aged as they would anybody else, often precipitating a cascade of further problems that result in a foreshortening rather than extension of life. Furthermore, it is difficult not to believe that a Jewish and non-white—indeed, a virulently anti-white—social system will more and more withdraw medical care from and annul social insurance promises made to whites during their working years in prosperous times, particularly when the elderly are in no position to fight back. Therefore, the lifespans of whites are likely to shorten rather than stay the same, much less lengthen, as time goes by. An expeditious but quiet removal of the aged through attrition from the population is just too easy a method to alleviate intractable fiscal burdens, and is consistent with prevailing ideological norms as well, as periodic outbursts of virulent racial hatred from the mass media of news and entertainment, and Jewish spokesmen such as Susan Sontag, Tim Wise, and Noel Ignatiev, make all too clear. Adherents of the belief set characteristic of Communism, Zionism, and US-UN-EU-style “democracy” are not renowned for their humanitarianism. A number of other components of SDT can be dealt with very briefly. The theory, like demography generally, treats human races as interchangeable. It examines only raw population statistics within officially demarcated political boundaries, usually nations. Of course, the truth is that races are not fungible. For example, white fertility is much lower than the fertility of colored populations imported into our homelands to replace us. SDT, like the original demographic transition model, is universalist. Proponents view it as applicable to all races, populations, and nations on earth, when it might simply constitute a good description of what happened to white Europeans. The authors provide a Maslovian theoretical underpinning to explain the anti-family ideologies that promote non-reproductive behavior. This is based upon an odd reading of Jewish psychologist Abraham Maslow’s well-known hierarchy of needs theory. Proponents of SDT view social atomization and the destruction of the family as fulfilling “higher-order” self-actualization needs of individuals at the pinnacle of Maslow’s pyramid. Readers who desire more background on this aspect of the theory, which is important to its proponents but irrelevant to me, can listen to the portion of David Coleman’s lecture discussing it; he provides a very clear summary. They can also glance over the “Societal Background” section of Ron Lesthaeghe’s accompanying overview chart contrasting the FDT with the SDT. Finally, the SDT correctly considers modern contraception and abortion as central to causing sub-replacement fertility. This topic, however, is too broad to deal with here, so I will try to address it in a future essay. Whites today are confronted with a rapidly diminishing population many of whose members have never experienced intact families while young, much less lived in a white society. There is no precedent for such a development encompassing an entire global population. In an interview with an anti-white academic who spent years studying “haters” (racially aware whites), the SPLC, a powerful Jewish hate group with strong ties to the media, academia, and secret police, expressed puzzlement over why a handful of whites, unlike the overwhelming majority of their fellows, oppose Jewish dominance, totalitarianism, white dispossession, and the cultural and biological genocide of their race and civilization. What, they asked, motivates such perverse beliefs? One of the professor’s answers was that “haters” often come from broken homes. Indeed, it seems indisputable, based upon SDT analysis, that this must be the case—as it is true also for an expanding lumpen population of aracial, degraded whites, and affluent “anti-racists” who loyally serve the Jews and government. The truth is, almost no whites have escaped the harmful effects of the disintegration of the Western family over the past five decades (half a century). Everyone is stranded in new terrain. Most don’t even know what they’ve lost. Any action, or plans for a free, progressive future following liberation, must take into account the catastrophic consequences of family destruction, and the evaporation of social capital that accompanied it. Whites everywhere are perilously close to nonexistence as a group in any meaningful sense of the term. Our race’s gravest crisis is at hand. 2. Coleman makes this statement in Lecture 3, “The ‘Second Demographic Transition:’ New Forms of Family” (at approximately 34:38), one of a series of 11 hour-long lectures comprising his freshman-level Oxford University course, “Demographic Trends and Problems of the Modern World.” All 11 talks can be viewed online through Oxford’s Open Academy program. Readers may be interested to learn that Oxford social science lectures closely resemble social science lectures at less exclusive universities. Published: March 14, 2014 | This entry was posted in North American New Right and tagged abortion, Andrew Hamilton, articles, birth control, cohabitation, demographic transition, demographics, marriage, North American New Right, originals, second demographic transition, the family, white extinction, white fecundity. Both comments and trackbacks are currently closed. The Jews’ plan appears to be succeeding quite well. Only Russia resists. Along with everything else, the lexicon of love has changed for white women. The words that used to signify romantic love, commitment, the celebration of the couple, the anticipation of offspring – all have been replaced by “The Relationship”. Women have not changed but they have accepted the new paradigm with the unexpressed, even unconsciousness, belief that “the relationship” will lead to marriage and family. When it does not, and the two-year sexual cycle of the female has passed – unfulfilled, she begins the quest for another “relationship”. In addition to the deformation of women, both divorce and the serial “relationship” are the inevitable results of thwarting female biology. Van de Kaa characterizes this new ” relationship” as “reciprocal emotional enrichment.” What nonsense. “Demographic Decline” is just another politically correct word for White Genocide. If you wish to fight against that systematic and very precise science of eliminating our race, you should use the same vocabulary and vernacular as the many white resistors that are fighting the extermination of our people. Our enemy knows that if we resist the genocide of our race, if we even lift a finger, we can stop it. This is why they use psychological warfare and intimidation tactics to get you to fight using the words they choose. Making the playing field on their terms. Fighting your enemy with the weapons they let you have is suicide, and they know it. That’s why they let you use those words, and not ones that hurt. I think I agree with you…but I also believe that if we were to use “their” word, genocide, they would scream that we were trivializing the holocaust. The masses, being bewitched by the media, would toe the line and agree with them. Afterall, no one is forcing us to not marry or to not have children. One of our weaknesses is the inability to see or comprehend non-physical conflict, or perhaps to think of oneself as immune to the psychological attacks upon us. The idea of conflict as something other than physical is apparently beyond the comprehension of most of our people. That’s due to conditioning process by the jewish controlled media. I see it as more an innate trait of our people. The heroes of our myths always have a physical enemny to fight; the dragon, the giant, the evil knight, the witch, etc…While many of these enemies may represent pyschological demons, they are not very explicit in doing so. In none of our myths is the hero fighting an underhanded destructive immigration policy or a convoluted mind game such as feminism, or an insidious social idea such as equality.